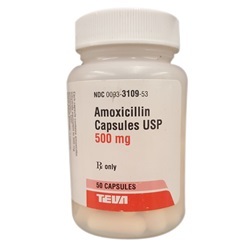 Penicillin Amoxicillin 500mg capsules. Capsules are yellow with 93 3109 printed on them. 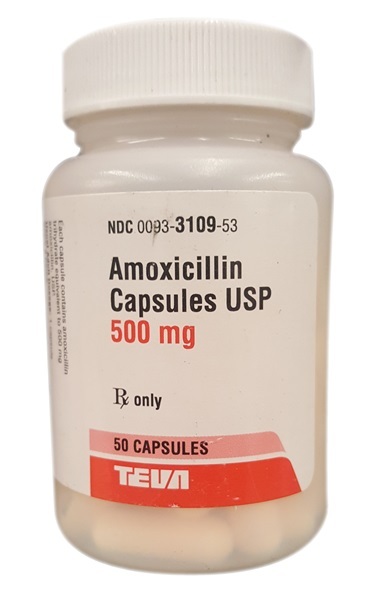 Manufactured by Teva. NDC Number: 00093-3109-53. Comes 50 per bottle.